Sumptuous colors in 100% linen. 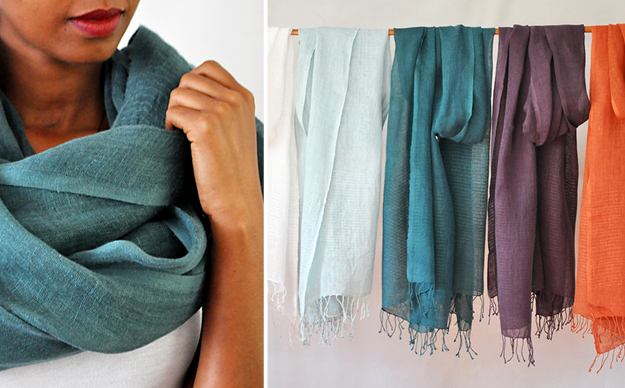 Choose a scarf size (18″ wide x 78″ long) or large wrap size (27″ wide by 78″ long). Both sizes in all colors. Hand washable.